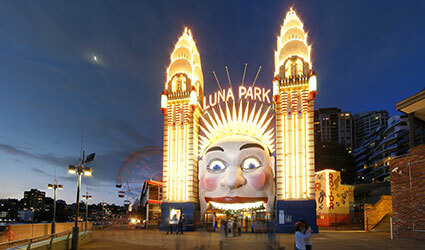 Luna Park is an iconic venue in Sydney being both an amusement park and entertainment attraction. It has been open since 1935 and is a wonderful experience for the whole family. We can provide discounted tickets either as part of a package or at the front desk. It is approximately 10 minutes walk from Glenferrie Lodge. Kirribilli has over 22 bars and restaurants that range from super budget to 5 star. They are all a few minutes walk from Glenferrie Lodge. 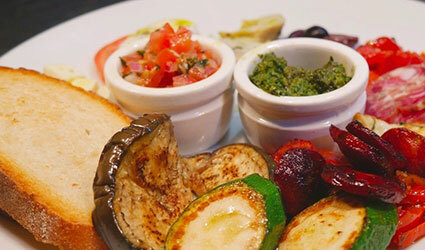 Also you are welcome to bring food back to our lovely garden and chill out on the lawn or patio. 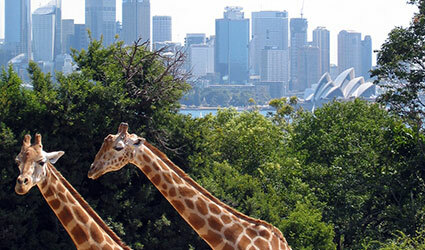 Taronga Zoo is only a 15 minutes drive or can be reached by a short ferry ride. The world famous zoo is home to over 2600 species and has many animals that are endemic to Australia. We can offer discounted tickets at the front desk so please ask. Named as one of the top 10 public pools in the world, it’s easy to see why. 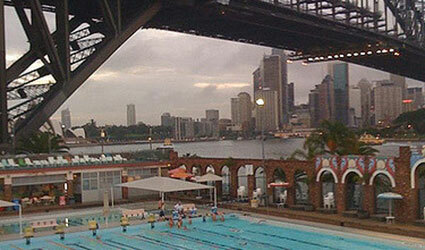 North Sydney Olympic Pool is heated all year round and at only $7.30 per entry ($3.60 child) with package tiered rates, its a wonderful place to have a dip and take in the incredible scenery. There is also a gym open to the public. Extra hint, the Ripples Cafe next door is a brilliant recommendation for a coffee. Whether is a short stroll from the hotel or a longer walk to Lavender Bay, the Kirribilli Foreshore Walk is something not to be missed. 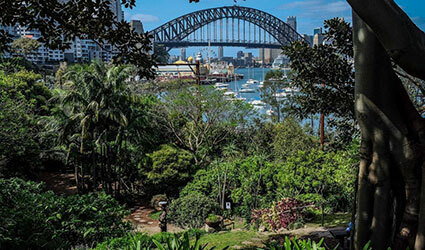 The Dr. Mary Booth lookout walk is also a perfect location to capture views of Sydney Harbour. Ask for details at the front desk and we will give you directions. The start point is only 5 minutes walk from Glenferrie Lodge. Additionally, you may want to explore Wendy Whiteley’s Secret Garden, truly a gem and free for the public. 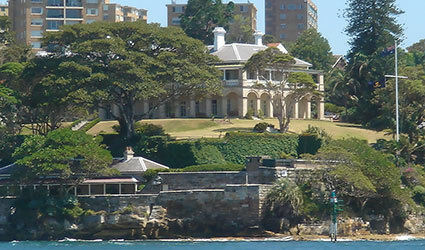 Kirribilli House is home to the Prime Minister of Australia. Admiralty House is the Sydney home of the Governor General. In 2014, Kirribilli House hosted Prince William, Catherine and Prince George. These two famous houses are literally 3 doors down from Glenferrie Lodge, so you’re in good company. While they don’t allow public access you can sneak a peak through the gates.